Hiya folks. Another day here in Jersey grinding away at work while multitasking on my nail stuff. I can almost taste the sweet air of not having a backlog. Almost is the keyword though. Once everything is done though I should have a much shorter turn-around period and also more time for art. It'll be a win win for everyone, woot! Today I'm bringing you guys a little bit of a different kind of review so I'm pretty excited about it. Yesterday I reviewed the Caribbean Collection by Heather's Hues and mentioned her new shop addition Perfect Polish Packs. Some of these polishes in the collection are part of these packs as well as nail vinyls. The basic polish pack includes one full size polish of your choice (4 choices available) and 4 different sets of vinyls from Nails Redesigned for $19.00. 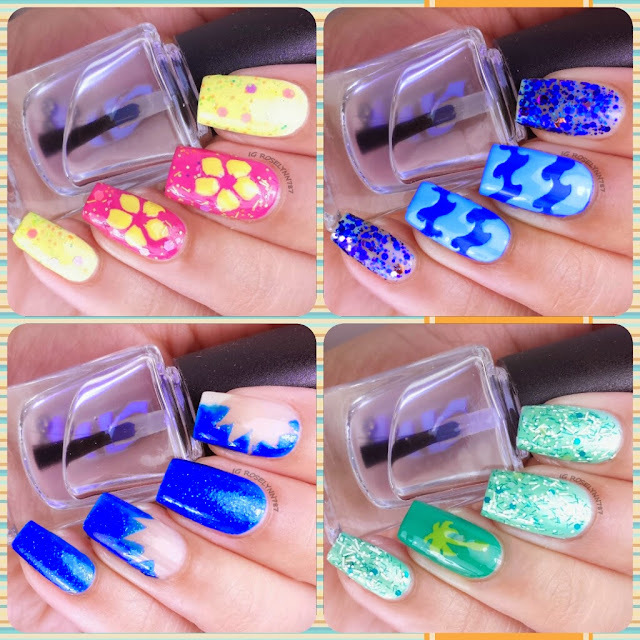 I'll be showing you the nail vinyls in these sets in action! While you can choose which polish you'd like in your Perfect Pack, you will be receiving all four different sets of vinyls. 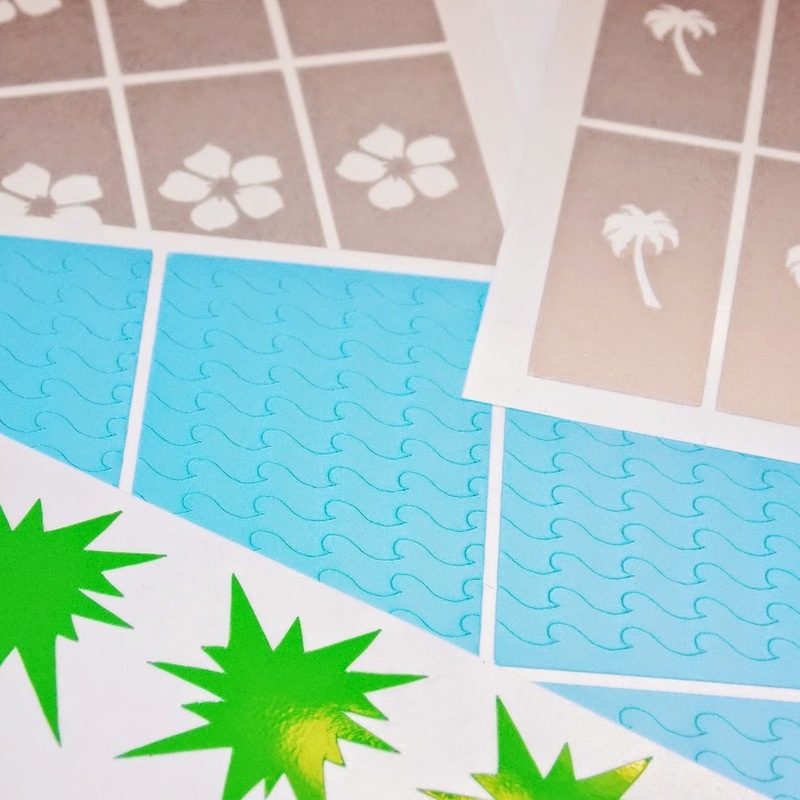 The vinyls consist of are palm trees, star bursts, ocean waves, and tropical flowers. The tropical flower vinyls are exclusive to the Perfect Polish Packs while all the vinyls can be purchased individually. The four polishes you can choose from Sunset Over the Sea, Tropical Waters, Paradise Pink, and Island in the Sun. You guys can check out my previous post here to see swatches of each individual color. Now let's take a closer look at each vinyl! The first vinyl I'll be showing you guys is the lovely tropical flower. You'll receive 20 of these vinyls and as I mentioned before these are exclusive to the Perfect Pack. The stencil is crisp and extremely easy to use and apply. I have kind of large nail beds so an individual flower fits nicely on my nails. Palm tree vinyls! Such a great idea that's perfect for summer time. You'll receive 10 palm tree vinyls and these are available for purchase separately. I only wish they were easier to be able to use. I tried several times but I couldn't get a crisp stencil transfer. 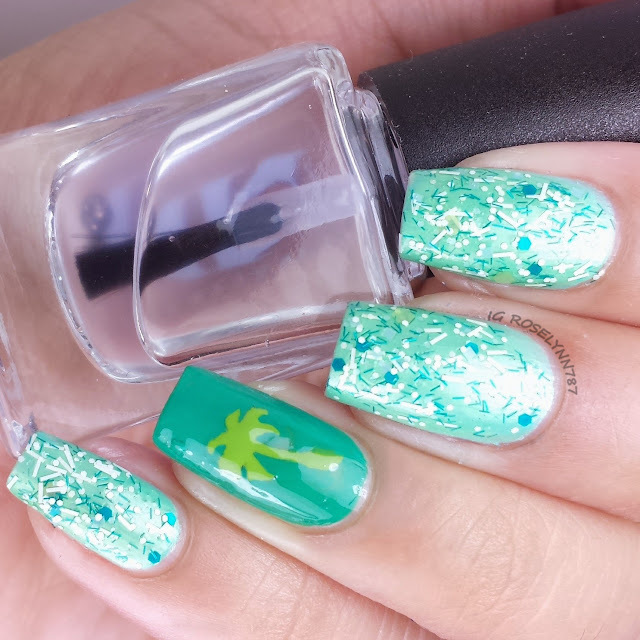 The leaves of the palm tree (I hope I'm describing that right) are too tiny in detail for the polish to transfer over without smudging. 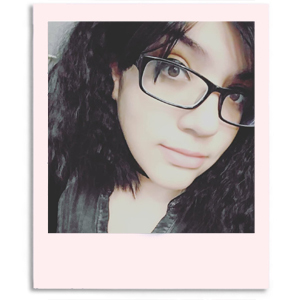 I feel like I should give these another try in the future though because it really is a cute concept. The ocean waves vinyls are definitely my favorite ones from the four-set. In the Perfect Pack, you'll receive 100 wave vinyls and these are also available for individual purchase. 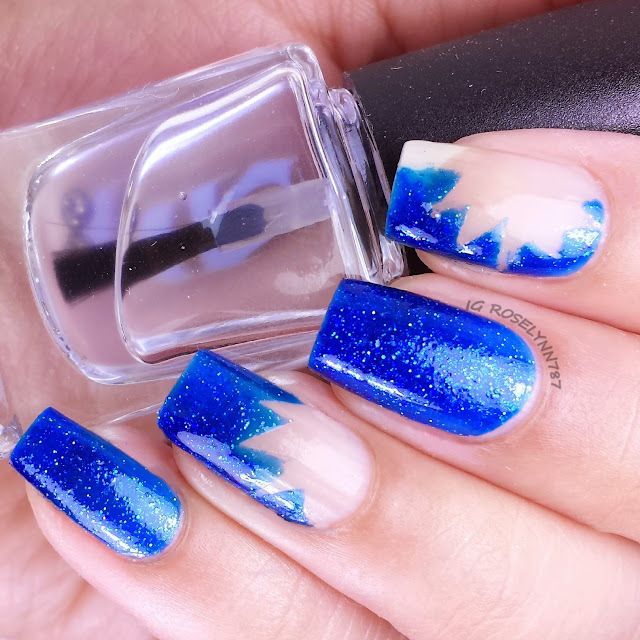 I have actually received a lot of compliments on this mani already because of how unique the waves are. They are definitely the easiest among the four to use and apply. Lots of creative uses and very crisp transfers. 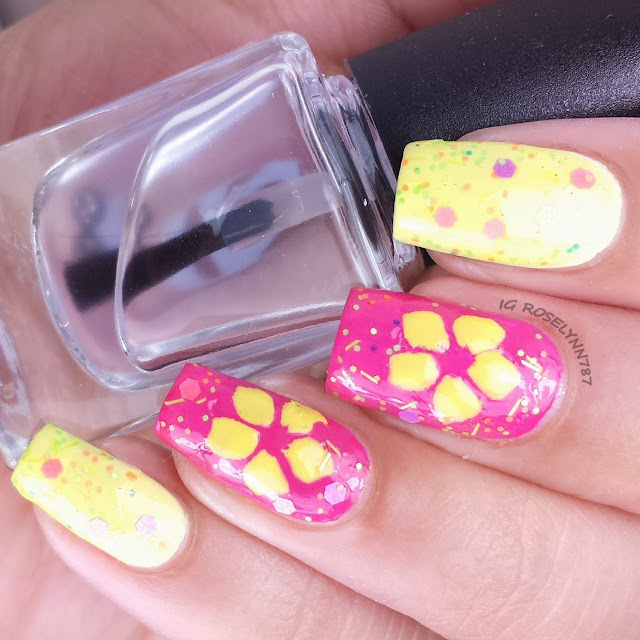 These summer-themed waves will be used in a lot of mani's that's for sure! Star burst vinyls! I was a little bit on the fence about these but I'm really pleased with how I managed to use them. They are pretty large even for someone with big nail beds so it's really all about creative positioning. The edges of the burst do transfer well and with ease so long as you don't apply too much polish to the stencil. I personally adore nail vinyls and have acquired quite a collection so I was thrilled to receive these to try out. The shape of the palm tree and the tropical flower really stood out to me. But, of course, the one that completely won me over are the ocean waves. Freaking amazing! 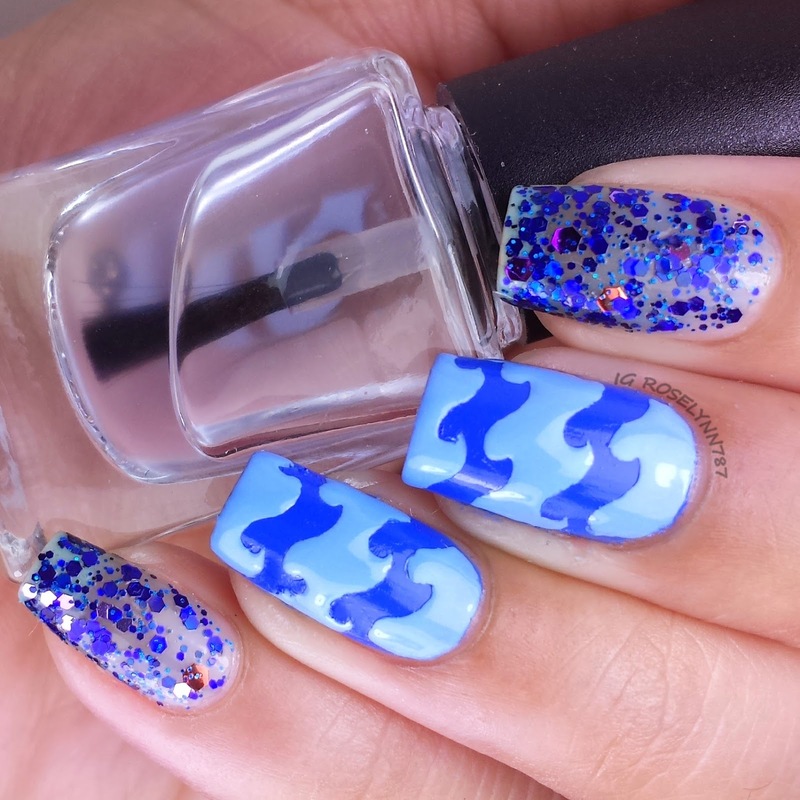 You can see it for yourself, such a cute wavey pattern and so easy to do. Everything you guys see here will be available for purchase as part of the Perfect Polish Packs available both from Heather's Hues and Nails Redesigned. There are 4 different pricing selections for the Perfect Polish Packs but they all include the same amount of vinyls (the pricing difference is for how many of the polishes you want included). I know some of you guys are just as much of a fan of vinyls as I am so you'll definitely want to give these a try. Let me know what you guys think! Which one of the vinyls is your favorite?